Love it or N8 it? 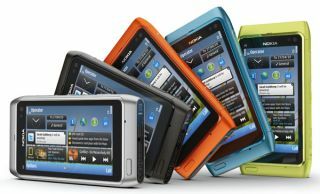 The eagerly-awaited Nokia N8 has finally gone on sale, with the new flagship handset from the Finnish phone giants available from £429 sim free. Nokia may not have got the five-star Nokia N8 review it was hoping for, but its loyal fanbase have been clamouring for the Symbian^3 handset. The long wait is now over, with the N8 now available on the Nokia store and from the networks. The Nokia N8 brings an impressive 12Mp camera with Carl Zeiss optics, HD video and the well-received Ovi Maps turn-by-turn navigation. "But for the smartphone user that's coming to the end of their first Android or iPhone and thinking of a change, it may be less of a joyful experience."